The Two Point Hospital reviews have checked in, which means it’s time to check out some Two Point Hospital review scores. The spiritual successor to ’90s classic Theme Hospital is live on Steam right now, but if you prefer to try before you buy (metaphorically, of course) we’ve got a round-up of all the review scores to help you make your decision. That said, it doesn’t seem some other critics shared Alice’s concerns. At the time of writing, Two Point Hospital is sitting at an 88 on Metacritic, rising all the way to a 92 on OpenCritic. Without further ado, here are all of the Two Point Hospital review scores we’ve found so far. 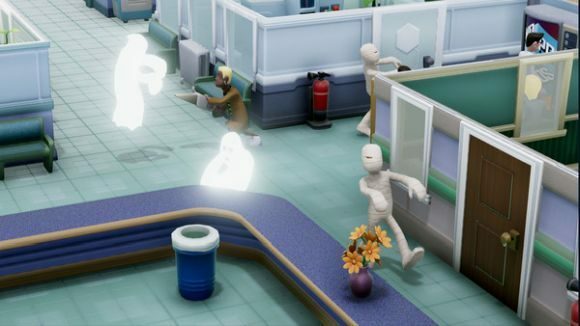 So, for the most part, Two Point Hospital seems to have been very well received. Nostalgia features, of course, but there are reports of an excellent management game that builds on its spiritual predecessor. That GamesRadar+ score, of course, speaks of something apparently unmissable if this kind of thing is your jam, and with a launch discount on Steam, until September 5, now seems as good a time as any to pick it up.